A look at what we'll be watching for in Blaine. Ultiworld’s reporting on the mixed division of the 2017 US Open is presented by Universe Point cleats. All opinions are those of the author. Please support the brands that make Ultiworld possible and shop at Universe Point! The US Open has (mercifully) been moved off of its traditional home on July 4th weekend, and now exists smack in the middle of the Triple Crown Tour summer season, a premier event for the Club division’s top teams. With powerhouse programs at full strength and beginning to round into form for their late season push, we address five burning questions facing each division heading into this weekend’s competition in Blaine. 1. Which of the three top teams in Pool A is most likely to miss the bracket? The answer here is #6 San Francisco Mischief. Last year’s national semifinalists went 7-0 at Revolution, but with wins too close for comfort against rebuilding 7 Figures and Polar Bears. They have a few new faces, including the exciting Han Chen, but it’s unclear if they have enough firepower to push them into the true top tier of the division. Their chemistry should keep them easily above the bottom three teams and they might even squeak a close win against Slow or Mixtape, but if it comes to point diff, their record has the least evidence of running even with elite competition and a big loss could drop them to third. At the Pro Elite Challenge, #2 Boston Slow White took a head-scratching loss against Gainesville G-Unit, but convincing wins over other Elite Flight teams Ambiguous Grey, shame., and Love Tractor. Their comeback double game point win over Mixtape shows they still have the means to grind against the top echelon. The roster changes they experienced haven’t affected their play style very much and as the rookies gain more chemistry with veterans, their unpredictable play style will only become more difficult to counter. #3 Seattle Mixtape also had strong wins in Colorado and split two double game point games with AMP. They undoubtedly have the best combination of big throws and aerial playmakers in the division, which in itself is enough to keep them alive in any game. Adding in their creative break throws and smart poaches in the backfield yields a team unlikely to miss the championship bracket this weekend. 2. Who gains most from the tournament using the “endzone decides” rule? With every game in the division set to be played under the new endzone decides rule,1 teams at the US Open will have the opportunity to experiment — and potentially exploit as an advantage — if they choose to. Since it’s a relatively new option, there really isn’t a precedent as to how best to proceed or capitalize on the changed tactics. Despite the uncertainty this rule introduces, one thing seems likely: defense benefits the most from this. Whereas offenses in the past were able to dictate how the line is set, now the defense has a chance to fluster an offensive unit by denying them their desired line of seven or just keep them from getting in a groove with the same line. For coaches that have preset lines, having to adapt based on the decisions made across the field can be aggravating. This will benefit teams that have a solid balance in talent across genders and are comfortable incorporating all of their teammates in the play. Many of the top teams could very well fall into that category. Mixtape has a wealth of talent and years of chemistry built up. They start with a stable of block-generating women on their D-line with Jennifer Cogburn, Lexi Gerrity, and Ari Lozano and then punish quickly with an aggressive offense that can and will send hucks from anyone to anyone. 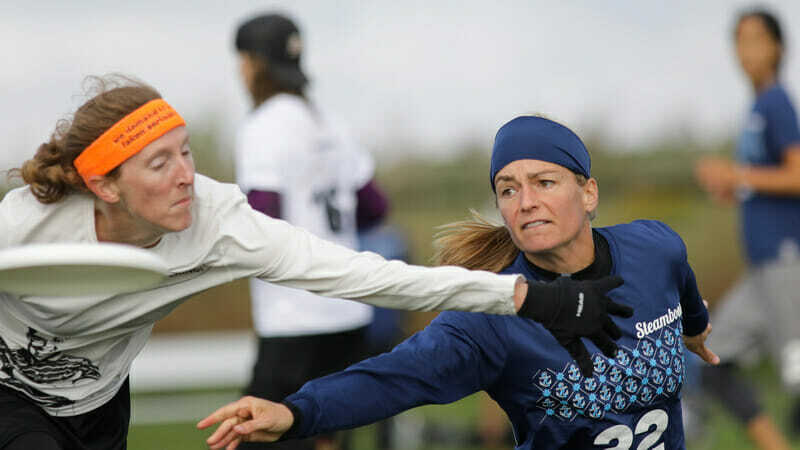 #4 Philadelphia AMP has some of the most dynamic young players in the country; Linda Morse and Carolyn Normile are nightmare matchups on both sides of the disc. AMP also have a stable system in place that has allowed them to plug new pieces in without losing any of their incredible balance. Slow White’s depth has been their calling card over the past few season’s and they have several playmakers that thrive no matter who surrounds them on the field. Lexi Zalk was an absolute monster on both sides of the disc at Pro Elite Challenge and Miles Montgomery-Butler has displayed some of the best cross-gender throws in the division. But the real answer here may be #8 Cincinnati Steamboat. For years, Steamboat has made their rise up the ranks of the division by relying on their strong women to generate turns and then working efficiently as a full squad to punish mistakes. Nancy Haskell was a defensive revelation last year, Brandi Skanes was similarly dominant this year playing in college, while Brittany Winner quarterbacks their offense. Together they are an exciting — or scary, depending on your rooting interest –prospect. Steamboat also loves to play zone defense, in part because, traditionally, many mixed teams have struggled playing zone O with four women. Cincinnati’s adaptable defenders can press their advantage if their four women zone is effective this weekend. 3. How does the Wind Chill game Friday night change things for Drag’n Thrust? With an essential playoff game for the Wind Chill on Friday night, the potential for a conflict of interest between ultimate team commitments rears its ugly head. #5 Minneapolis Drag’n Thrust and the eight men who also compete with the Wind Chill have to decide how they’ll handle the tournament’s opening day — do they save legs during the day Friday and play fewer points so they can double-dip with the AUDL commitment, or do they go all out for their club and then just give the Wind Chill whatever they have left in the tank? In order to make the championship bracket, Drag’n will have to place in the top two of their pool. This, in all likelihood, will mean that they’ll have to “upset” a team ranked above them, either AMP or Metro North. “Upset” is in quotations here because, despite their fifth seed, very few would be surprised to see Drag’n Thrust win the tournament — they’re still an extremely deep and experienced team. Their schedule is also favorable — although they start Friday against second-seed AMP, they don’t face Metro North until the final round of pool play the next morning. If they can pick up their upset early and then hang on for a 3-0 Friday for Drag’n could allow its Wind Chill players more physical leeway in their evening playoff game. If not, and Minneapolis still needs to hunt victories Saturday morning, the calculus for Drag’n’Chill players ™ may get even more interesting. 4. What is the most dangerous international team in the field? The international teams are an incredible wild card in this year’s US Open tournament. Before the question is even asked, no, none of the players from the Japanese or Colombian mixed squads in Blaine were a part of the World Games rosters from a few weeks ago. Still, that is no reason to write them off entirely. In recent years, we have seen high caliber play from international mixed teams at this tournament — remember Melbourne Ellipsis won the 2015 US Open. While there are no obvious candidates to challenge for a title this year, the Bogota Fire Ultimate Club has perhaps the closest conceptual shot at making a run to the bracket. At both the Worlds games and the TEP, Colombia has shown that they can trade shots with their North American counterparts. In large part, the reason why Colombia currently looks so lethal on the international stage is that there is a strong emphasis on mixed within the nation. The same system that molded the Cardenas sisters is featured in Bogota. Fire Ultimate’s mixed squad is fairly young as well. For most nations this would seem to be a detraction, but in Colombia their strength lies with their youth and many of their best talents have been playing from an incredibly young age. Fire operates more like a European Soccer club than an ultimate team. They have 70+ players across all divisions and train together to hone their talents. This ‘dynasty model’ has not yet hit the club scene in the US (mainly due to universities poaching talent far and wide) but it has proven itself in Colombia: Fire Ultimate handily won their regional tournament against Wind Community Club, the winners of Colombia’s nationals in 2016. This decisive victory qualified them for the US Open, and they have been relentlessly training ever since. Having a club of 70+ athletes allows for plenty of reps and different looks thrown against them in preparation for this tournament, a luxury most US teams do not have. Fire’s other big bonus is their schedule. An argument can be made as to which pool is more difficult, but there are no US teams in Pool B that have not already suffered at least two losses this season which shows a certain amount of vulnerability. To top it all off, Fire has the added bonus of playing Drag’n Thrust on their first game Saturday morning. As discussed above, several of Drag’n’s male players will becoming off a Friday night playoff game with the AUDL’s Minnesota Wind Chill. Couple that with the three games they will play before at the US Open and it could leave Drag’n with the potential for some chinks in their scaled armour. The Colombian’s are coming off of a strong nationals victory, will be exhibiting confidence from their World Games representatives, and have built an incredible foundation as a club. All they need to do is get on a run, catch alight, and they could potentially be alive for a primetime game on ESPN. 5. How will Metro North fare in their 2017 TCT debut? While #9 Connecticut Metro North competed at the local Boston Invitational in late June, they have yet to appear at a national scale TCT event in 2017. The menace from Mianus returns only 15 of the 27 players that marched all the way to last year’s national final — and their losses will be immediately evident. Andy Bosco was a terrific reset and distributor for 2016 Metro North, but will draw tougher matchups on every point in the absence of Chris Mazur. Sean Murray and Kendra Frederick leave big shoes to fill in the cutting lanes, but there’s still a kaboose full of talent on the team. Lauren Doyle and Allison Yum are still tough matchups downfield, and captain conductor Seth Canetti will anchor the D line’s offense after turnovers. Eugene Yum and John Korber will play major roles wherever needed. 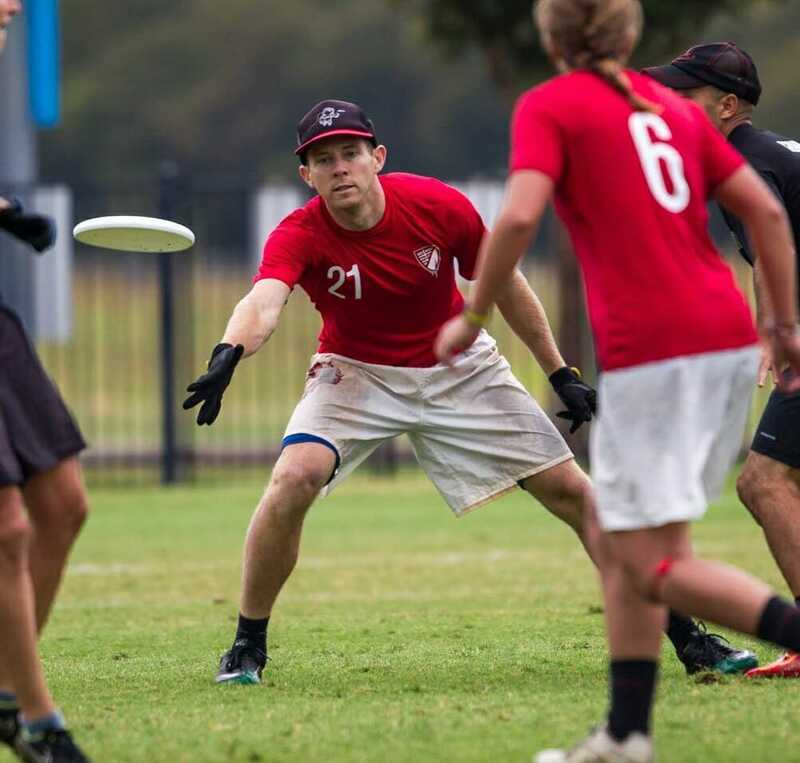 Misha Horowitz, who mostly recently laced them up for Seattle BFG, will be a critical addition for Metro North in trying to fill Mazur’s role. The early results for Metro in 2017 haven’t quite been flattering. At their only tournament thus far, Connecticut earned close wins over unknown teams and were handed sizable losses by Slow White and Wild Card. Those same squads will now be pulling for their in-region rivals to perform better in Blaine, as Metro currently fall well outside of bid-earning territory for the always deep Northeast. The road won’t be easy this weekend. AMP, Drag’n, and Steamboat are all experienced squads capable of efficiently punishing any miscommunications or miscues. Bogota certainly won’t be pushovers either. If Metro North want to stake a claim that they remain among the elite, they will have opportunities to prove it. But with some key cogs missing, it appears they may still need more time to hit their stride. Kevin "Bulb" McCormick attended the University of Delaware for several decades and was a member of Sideshow Ultimate from 2002-2007. He played seven seasons for Philadelphia AMP and is now semi-retired. He is still an active member and volunteer for PADA, Philadelphia's local league. Comments on "US Open 2017: 5 Burning Questions (Mixed)"